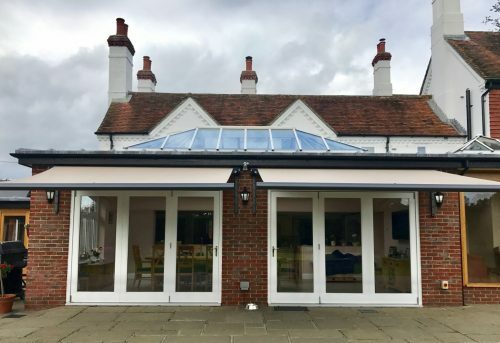 We have just installed two Weinor Cassita II Awnings to this stunning orangery in Lyndhurst in the New Forest. 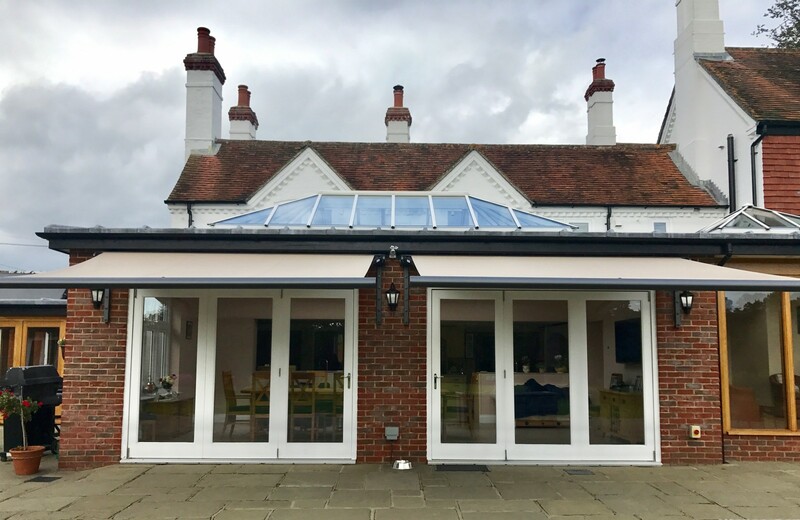 Our clients had recently finished building this superb orangery, but with South facing bifold doors there was too much light coming into the room, making it very bright and hot. They also wanted an outside area of shade to sit in during the summer months and in the evenings. 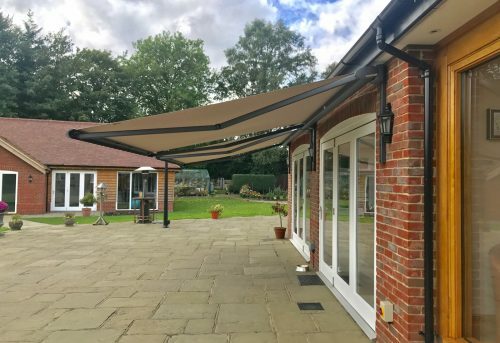 To provide the shade that they required, we fitted two Weinor Electric Awnings side by side to cover the full width of the orangery. We also fitted a wind sensor to make sure the awning isn’t damaged in high winds. 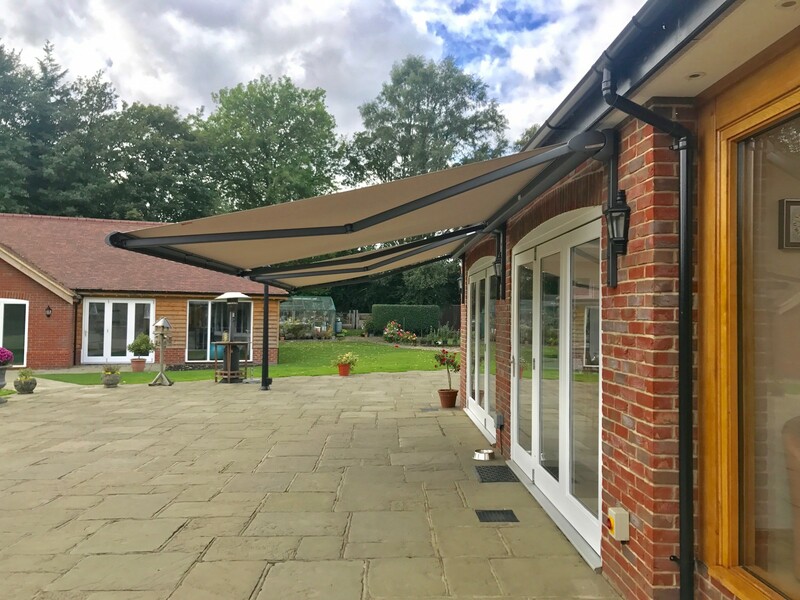 The awning cassette and brackets were painted in RAL 7319 and the fabric chosen was an acrylic WE-298.